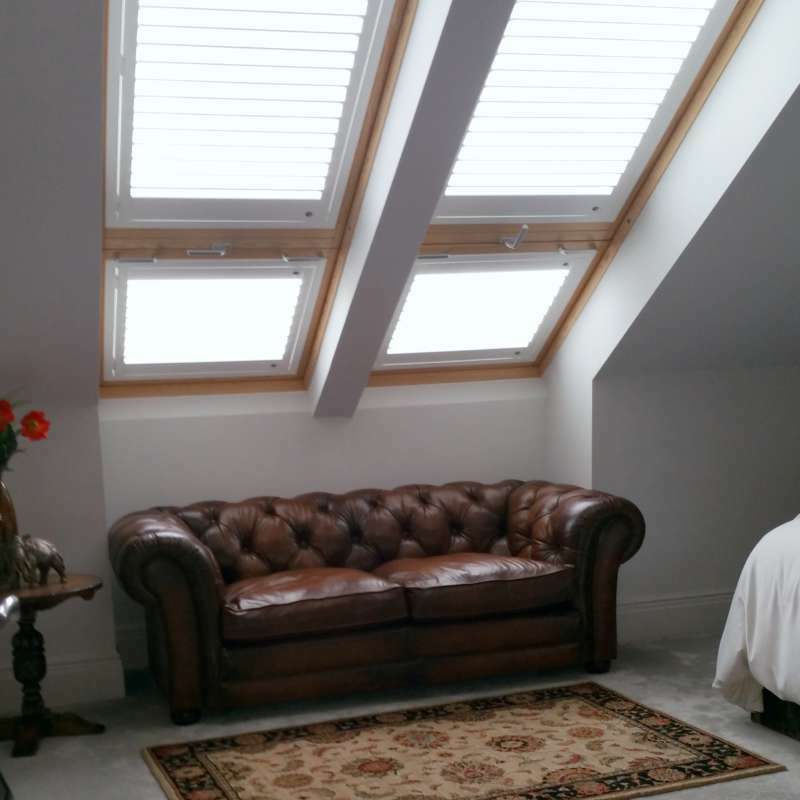 ﻿ Skylight and Roof Window Shutters Winchester… | The Great Shutter Co.
How many of us have had extensions added to our homes or had loft conversions carried out and added Velux style windows. 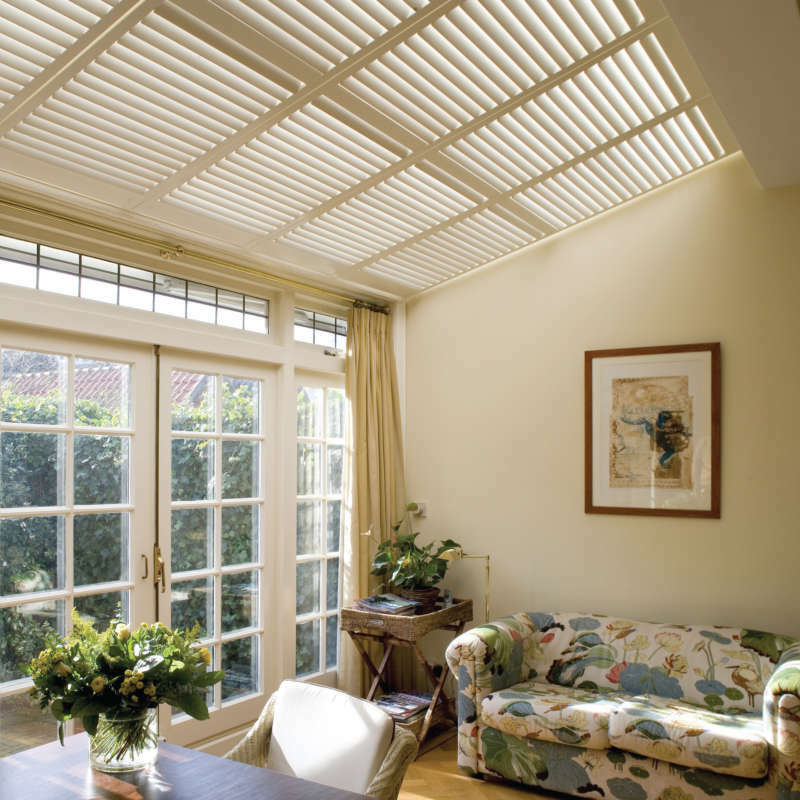 We can supply a perfect window dressing solution for your Velux, Keylight or Fakro window with a shutter that will make that skylight roof window look just that little bit more special. Oh and we can remote control these. 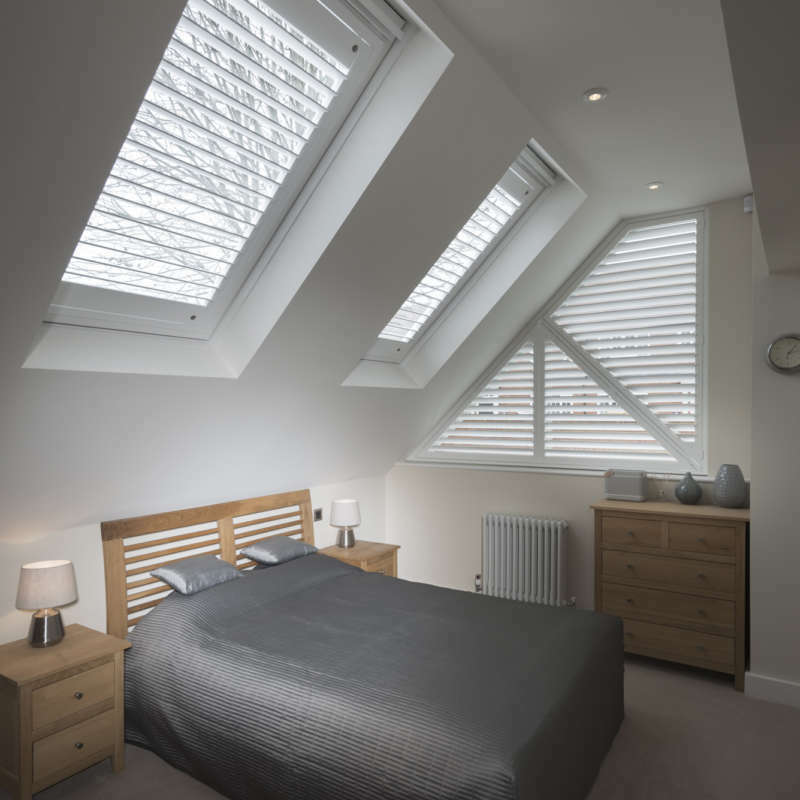 Why should I choose a skylight roof window shutter over a Velux Blind? So you have had your Velux, Fakro or Keylight window installed letting all that lovely light flood into your new extension or loft extension but there are times that you would just like to temper the light. For roughly the same money as a fabric Velux blind you can add a substantial, made to measure skylight roof window shutter. Now you are really controlling the light. Your Velux blind is either pulled open or closed while with a shutter you can adjust the louvers. We can also remote control this shutter for you and can pre-programme it to be at certain angles at certain time of day. For more information see our remote control section. 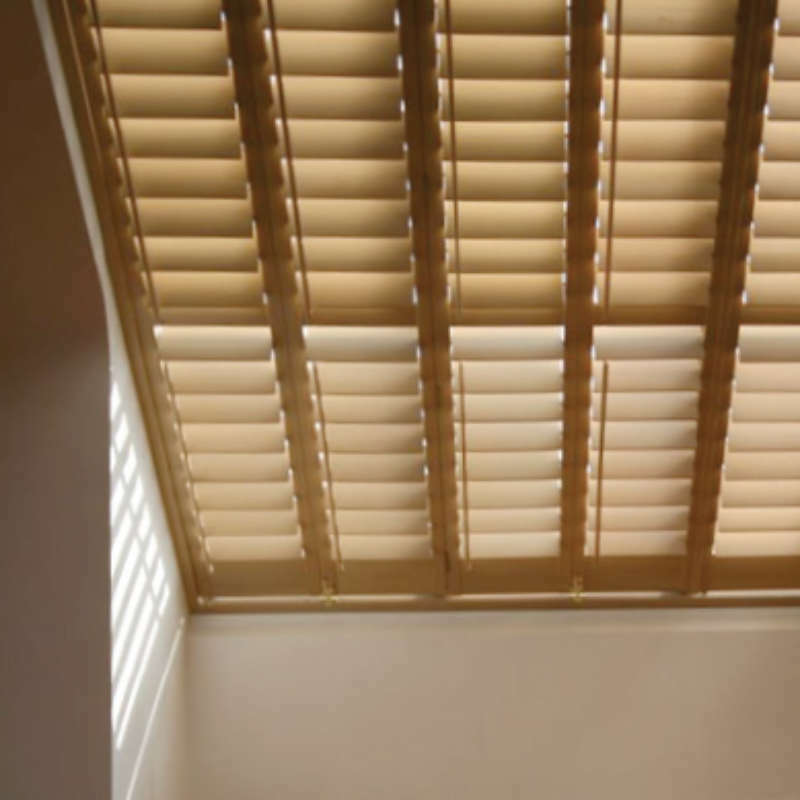 What does it cost for skylight roof window shutters? We can provide you with an instant quote. All skylight roof windows have a manufacturer code written on them and if you provide us with the code we can provide a quote for the shutters with or without the remote control option. Why not just give us call – as always there is no obligation and we are happy to provide information on the options that are available to you.